Tora Augestad’s versatility inspires composers, theatre directors and conductors. Through commissioning new works and through the collaboration with her various ensembles she continuously seeks new challenges and the exchange of artistic ideas. She knows how to be theatrically convincing and how to engage her vocal capabilities, which defy easy classification, in an appropriate and compelling manner. 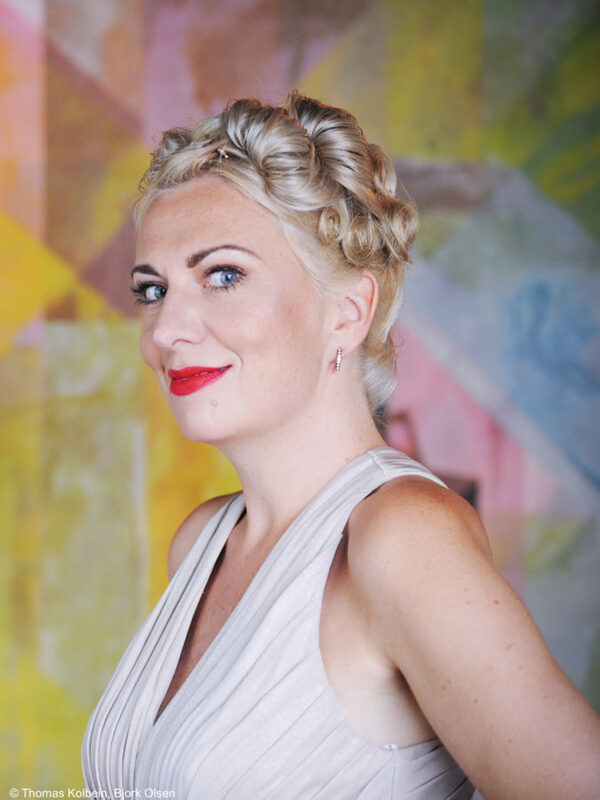 Born in Bergen in 1979, the singer/actress Tora Augestad studied classical music and jazz singing in Oslo and Stockholm, devoting herself principally to repertoire of the 20th and 21st centuries. Tora Augestad has become a regular guest in her native Norway and the rest of Europe, sharing the podium with musical partners such as the Ensemble Modern, Oslo Philharmonic Orchestra, NRK Norwegian Radio Orchestra, Ensemble Contrechamps, Klangforum Wien, Remix Ensemble, Finnish Chamber Orchestra, NDR Elbphilharmonie Orchester, Bamberg Symphony and the Bergen Philharmonic Orchestra. She performed in the world premiere of an opera she commissioned herself at the Bergen Festival 2015: Cecilie Ore’s Adam & Eve. The collaboration with the Swiss director Christoph Marthaler, which began in 2010 with the premiere of Beat Furrer’s Wüstenbuch, has become a constant in Tora Augestad’s artistic life. After the success of Marthaler’s Meine faire Dame, a take on My Fair Lady, at the Theater Basel in 2012, the homage to Verdi’s Lo Stimolatore Cardiaco in Basel and the Zurich Opera production of Sale with music by Handel followed. The staged Lieder recital King Size went on world wide tour to cities including Hamburg, Prague, Moscow, Geneva, Rotterdam, London (Royal Opera House), Santiago de Chile, Sao Paulo and Jerusalem. The production Last Days. An Eve was performed at the Wiener Festwochen 2013, the Festival d’Automne Paris and at the Staatsoper Berlin. 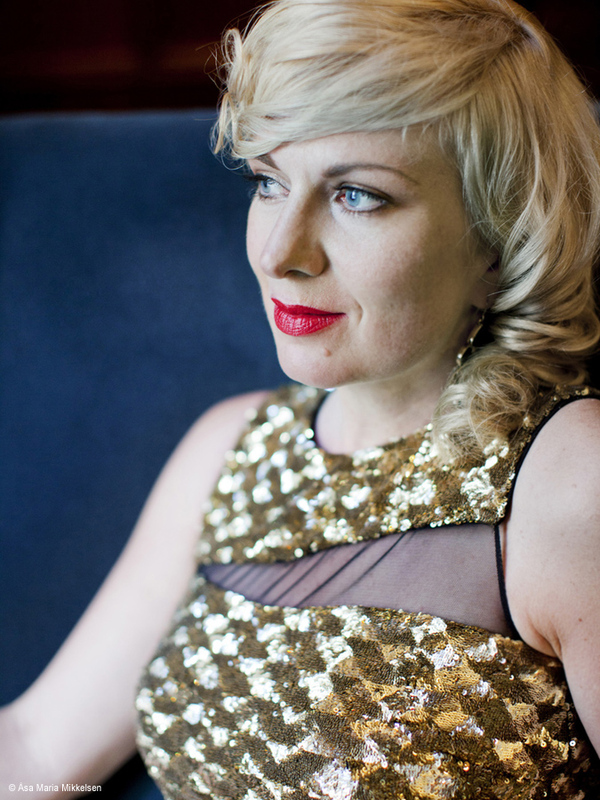 In 2004, Tora Augestad founded the ensemble MUSIC FOR A WHILE, made up of renowned musicians from the Norwegian jazz scene. After the release of their CD Weill Variations, the singer was awarded the renowned Lotte Lenya Prize in 2008. At the beginning of the 2018/19 season, Tora Augestad will give her debut at the RuhrTriennale Festival in Christoph Marthaler‘s Charles Ives-tribute Universe, Incomplete followed by his production Bekannte Gefühle, Gemischte Gesichter that is also presented at the Ibsen Festival Oslo and at De Singel Antwerp. In 2019, she will sing the world premiere Lab.Oratorium by Philippe Manoury with the Gürzenich Orchestra of Cologne (conductor: François-Xavier Roth, staging: Nicolas Stemann) at the Kölner Philharmonie, Elbphilharmonie Hamburg and the Philharmonie de Paris. Furthermore, she will perform with the Stavanger Symphony Orchestra, the Oslo Sinfonietta and the Bergen Philharmonic Orchestra. 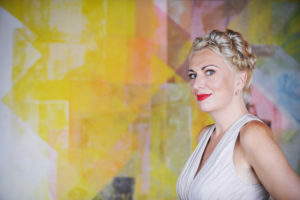 Her newly released solo-CD Portraying Passion(LAWO Classics) featuring works by Weill, Ives and Paus (Oslo Philharmonic Orchestra, Joshua Weilerstein/Christian Eggen) has already been nominated by the German Record Critics’ Award as best recording 2019 and been chosen as recording of the month by Fono Forum and Opernwelt magazine. 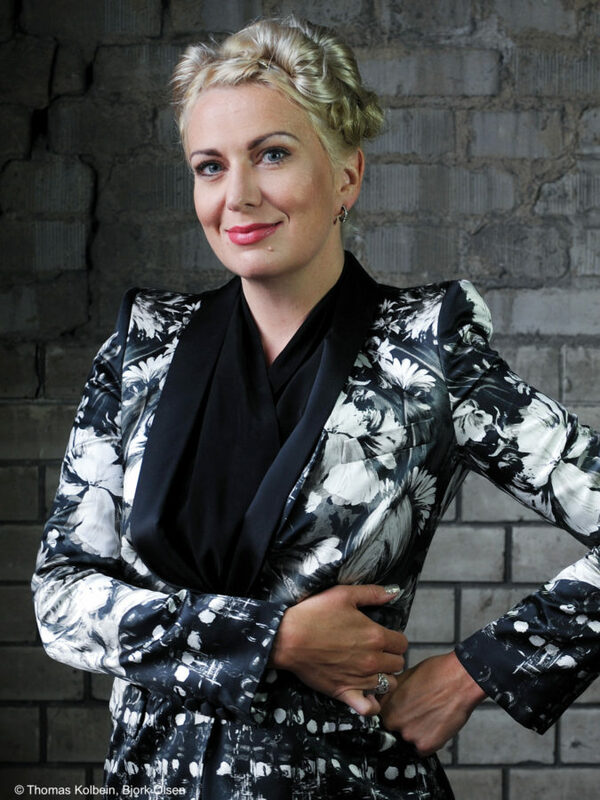 Tora Augestad has been co-artistic director of the Hardanger Music Festival in Norway since 2015. She was nominated for the Nordic Council Music Prize 2015, the most important cultural prize in Scandinavia, and was awarded as Performer of the Year by the Norwegian Composer Society in 2018. Cast: Christoph Marthaler (stage director), Anna Viebrock (set, costumes), Stefanie Carp (dramaturg), Malte Ubenauf (dramaturg), Hildegard Alex, Tora Augestad, Marc Bodnar i.a. Cast: Stefanie Carp (texts, concept), Christoph Marthaler (director), Uli Fussenegger (musical direction), Duri Bischoff (stage design), Sarah Schittek (costume design), Phoenix (light design), Gerhard Alt (associate director), Tora Augestad, Carina Braunschmidt, Bendix Dethleffsen, Walter Hess, Ueli Jäggi, Katja Kolm, Stefan Merki, Josef Ostendorf, Elisa Plüss, Bettina Stucky, i.a. 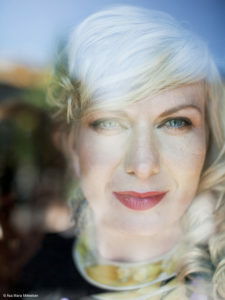 A unique and fresh combination of Jazz improvisations and classical music is presented on stage by the Norwegian ensemble Music for a while surrounding the singer Tora Augestad. Together with the congenial musicians Stian Carstensen, Mathias Eick, Martin Taxt and Pål Hausken the ensemble interprets own arrangements of ballads and songs by Kurt Weill, but also of classical lieder and arias by J. S. Bach, Henry Purcell, John Dowland, G.F. Handel, Franz Schubert and other composers. The exceptional ensemble has already performed at the Beethovenfest Bonn, the Dresden Music Festival, the Handel-Festival Halle, the Musikfest Stuttgart and other festivals and has released the three CDs Weill Variations (2007), Graces that refrain (2012) and Canticles of Winter (2014) on Grappa. A fourth CD is planned for 2018. It seems as there are no musical borders for this trio: weightlessly moving between contemporary classical music, jazz and popular music, it inspires Norwegian composers from extremely different genres to score music for this exceptional group. The name of the trio, which was founded in 2006, is composed by the last names of the accomplished musicians Morten Barrikmo, Tanja Orning and Tora Augestad. The repertoire is constantly extended and was enhanced among others by Jarle Berhoft-Sjodin, Eivind Buene, Evan Gardner, Hanne Hukkelberg, Jenny Hval, Ole Henrik Moe Jr., Morten Qvenild, Susanne A. Sundfor, Christian Wallumrod and Bugge Wesseltoft. So far, the BOA-trio was live on stage at several occasions, including the Ultima Festival Oslo, Radialsystem Berlin, Wien Modern (Vienna) and Klangspuren Schwaz (Austria). Their debut CD mOOn Over tOwns documents the vast musical range. In this new programme baroque sounds encounter the longings, dreams and wistfulness of the works of William Shakespeare, Johann Wolfgang von Goethe, Wilhelm Müller and other writers. The first cooperation between Tora Augestad and the Lautten Compagney Berlin surrounding the musical director Wolfgang Katschner celebrated its premiere during the Schwetzingen SWR Festival 2017 and has since been invited to the Lower Saxony Music Festival in autumn 2017. Arias and instrumental work by composers such as John Dowland, Johann Philipp Krieger, Thomas Campion, William Byrd, Francesco Cavalli, Claudio Monteverdi, Henry Purcell and Franz Schubert leave audiences sighing blissfully and send them into the night enchanted to explore their own dreams. You tend to know if you’ll like a disc within a few seconds of pressing play. Tora Augestad’s version of Weill and Brecht’s The Seven Deadly Sins will come as a shock for those who only know the recording made by Weill’s widow, Lotte Lenya. (…). Augestad sticks to the original pitch, and she’s terrific: seductive, sharp and witty. I began applauding halfway through the fourth song, “Anger”, when Augestad’s Anna 1 begins her “Wer dem Unrecht in den Arm fällt” soliloquy. (…) Augestad’s recording is the best out there. Oh, yes. (…) Sample Augestad in frustrated mood (“If I had a shiny gun/I could have a world of fun…”). She’s terrifying but you daren’t switch off. Rumi was a 13th Century sufi mystic who wrote more than 40,000 verses in his native Persian. Now Norwegian saxophonist Trygve Seim has set ten of these to music, using what might appear to be a sparse instrumental line-up of accordion, cello and tenor or soprano saxophones, above which sails the pure, soft, melodious voice of Tora Augestad. […] Tora Augestad is the most wonderful singer, able to sing quarter tones and make it sound easy. Augestad is an excellent focal point; her articulation reveals the mystery, humor, and ecstasy — spiritual and carnal — in Rumi’s writings. […] Augestad expresses Rumi’s observations on the deepest of the heart’s longings with affirmation and generosity as the instrumentalists weave a joyful backdrop somehow simultaneously filled with yearning. 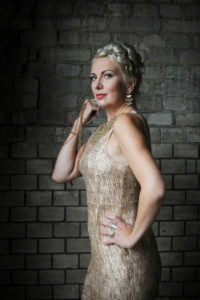 Tora Augestad, a tall and magnificent soprano, performs a series of songs in a series of costume changes which do not help to elucidate who she is at all. However, she is credited as the King’s Daughter, a reference to her final, lovely “Es waren zwei Königskinder”, a German folk duet which she sings with childlike simplicity and delicacy. For me, Augestad is the star of the evening: her delivery of Dowland’s “Come, heavy sleep” from underneath the bed is an absolute showstopper, lyrical and plangent; her blowsy, jazzy approach to the more modern numbers is delightful. Augestad also has innate comic talent: as the evening goes on, her sense of humour shows ever more strongly in ironic dance moves, witty gestures and some deliberately hyperbolic singing. When you feel lost in the piece, Augestad’s calm conviction and clear enjoyment of her role reassures you that it’s still ok to laugh.